Edward J. Kustra, 77, of Murrysville, formerly of McKeesport passed away on Friday, November 24, 2017. He was born April 5, 1940 in McKeesport, son of the late Joseph and Mary Gliwa Kustra. He served our country in the United States Army. He was a graduate of Youngstown State University. Prior to retirement, he was the founder and owner of KEMMCO Sales, Murrysville. He was an active member of Holy Family Polish National Catholic Church, McKeesport and a former member of YMS of R, (Young Men’s Society of Resurrection). He was a volunteer fireman for Lincoln Borough for many years. As former president of the Franklin Regional Football Boosters, Ed played a key role in bringing lights to the football stadium. Edward enjoyed hunting, fishing and played golf in the Westinghouse Golf League. He is survived by his beloved wife of 50 ½ years, Eileen Gricar Kustra of Murrysville; loving children, Kelly (Douglas) Duncan, Edward A. (Colleen Kelly) Kustra, Mandy Kustra, and Michael J. Kustra; adored grandchildren, Rachel Kelly, Jacob Duncan, Kaitlyn Duncan, and Nicole Duncan. Frank P. Gottlieb died Tuesday, October 24, 2017. Beloved son of the late Abraham and Nettie Bondy Gottlieb. Beloved brother of Florence Gottlieb Krakoff (late Samuel) of Industry and Marcus A. Gottlieb (Carole) of Pittsburgh. Nephew of Janet Bondy Eisen (Bernard). Uncle of Richard Krakoff, Lisa Krakoff Biancucci (Richard), Michael Gottlieb (Laurie), Linda Gottlieb Gordon (Alan), Amy Gottlieb Cook (David) and the late Daniel Krakoff. Also survived by many cherished great and great-great nieces and nephews, numerous cousins and countless friends. Raised in Midland, PA, Frank was a journalist who graduated from Duquesne University. He was a Vietnam Veteran and former News Director at KQV News Radio. He was the recipient of the Golden Quill Lifetime Achievement Award in 2011. Ronald Brian Frantish, age 60 of Wake Forest, N.C. passed away peacefully on October 15, 2017. He is survived by his wife of 25 years Kathryn Ringelstein Frantish; brother Roger (Gertrude) Frantish and sister Rhoda (Daniel) Wolfe, plus several nieces and nephews. He was pre-deceased by his parents, Edward and Mary Frantish of Buena Vista, Pa.
Ron was of the Class of 1974 of Elizabeth Forward High School, graduated with honors from Carnegie-Mellon University and retired from IBM after 32 years of service as a senior systems engineer. Memorial services to celebrate his life will be held November 4, 2017, at the Mt. Vernon Community Presbyterian Church, 2200 Buena Vista Rd., McKeesport, PA.
Family will receive visitors at 10:00 a.m. in the Church Parlors with the service to follow at 11:00 a.m. In lieu of flowers, donations are requested for the Buena Vista Volunteer Fire Company #1, 3333 Fire Station St., Buena Vista, PA 15018 or the Punta Gorda Lions Club Foundation, PO Box 510915, Punta Gorda, FL 33951. Tonya D. Wright, age 55, of Penn Hills, passed away unexpectedly on Thursday, October 5, 2017. She was born November 7, 1961 in Pittsburgh, a daughter of Leroy Parks and the late Constance Wright. She worked for the last 10 years as a Bus Driver for hearing impaired children. She is survived by her son Curtis L. Seay of North Versailles; and six grandchildren. Services were private. Arrangements handled by the Forgie-Snyder Funeral Home, 1032 Broadway, East McKeesport, 412-823-8083. Carl E. Short, 54, of Greensburg, died Thursday September 15, 2017. He was born June 3, 1963, in McKeesport, a son of Larry Short and the late Dorothy Ann Taylor. Carl Short was an ordained minister and committed to community service and helping the lives of others. The last years of his life were spent helping the lives of people suffering from addiction and mental illness, working with the Democratic Party to promote positive change, and ministering throughout the community. He was an excellent cook, a sharp dresser, and an avid Dallas Cowboys fan. He loved to laugh, make others smile and laugh, and watch scary movies with his family and friends. He loved his children and his grandchildren dearly. In addition to his mother, he was preceded in death by his grandparents, aunts, uncles, and many relatives whom he loved. Carl is survived by his seven children, Justin short and wife, Paula; Shamira Gelin and husband, Jean; KC Short, Shawn Short, Shakeem Short, Kelli Short, and Lamicah Short; four grandchildren, Jayden Gelin, Ava Gelin, Sophia Short, and Amara Gelin; his uncles James Taylor and Tony Taylor, their children and grandchildren; his aunts Brenda Lawrence and Shirley Weatherspoon, their children and grandchildren; his sister Kimberly Jones and her children, and his siblings, Herman Jordan, Gary Smith III, Lakitta Smith, Kimberly Jordan, Paul Baker, and Malik Smith, as well as many relatives too numerous to mention. Thomas George Pastor, 80, of Fayetteville, PA, and formerly of Glassport, PA, passed away Sunday, August 20, 2017 at the Chambersburg Hospital. Born November 10, 1936 in Glassport, PA, he was the son of the late George and Anastasia Zakczewski Pastor. Tom was a graduate of Glassport High School and attended both Penn State and Duquesne Universities. He served honorably with the US Army and the National Guard. Tom worked most of his life in finance, as Manager at Associates Financial Services in McKeesport, PA for twenty-five years and then as the Mortgage Closing and Appraisal Officer at Allegheny Mortgage Corporation in White Oak, PA. He was a member of Corpus Christi Catholic Church, Charles Nitterhouse Post 1599 VFW, B.P.O. Elks Lodge #600, and Joe Stickell American Legion Post 15. Samantha Mae Klavora of North Versailles, age 23, died tragically on Sunday, July 16, 2017. She was the loving daughter of Greg Klavora of Adamsburg and Christina "Tina" Sandor of Brookline, and companion of Dominic Seman of North Versailles. In addition to her parents, she is survived by her grandparents, Edith Mae Klavora of Irwin and Frank Klavora of Harrison City; brother, John Klavora of Rillton and sister, Jessica Klavora of Brookline; one niece and one nephew. Sondra Joyce Brandt Talavera, 61, of Prairie Village, Kansas, died April 9, 2017 in St Luke’s Hospital South in Overland Park, Kansas. Born in McKeesport on October 12, 1955, she was a daughter of the late Richard Barclay Brandt and the late Nancy Rader Brandt. Sondra was a devoted mother and is survived by her beloved daughters Amanda (Beau) Blochlinger of Leawood, Kansas and Monica Talavera of Fairway, Kansas., sister Jackie (Paul) Lapkowicz and brother Paul (Kathy) Brandt all of White Oak, Nieces Kellie Kerston of McKeesport and Dana (Brian }Shaner of Waterford, MI, Nephews Michael Lapkowicz of Versailles, Justin (Laura) Brandt of Flemington, NJ, and Tyler Brandt of White Oak, an uncle Robert Brandt of Collegeville, Pa, great nieces, great nephew, cousins and friends. William Hobaugh, 67, of Vandergrift, formerly of Elizabeth, PA, passed away on Wednesday, May 3, 2017 in Sugar Creek Rest, Worthington, PA.
Born November 17, 1949 in McKeesport, he was a son of the late William C. & Sally (McCready) Hobaugh. William lived in Vandergrift for the last six years, and was a 1967 graduate of Elizabeth Forward High School. He worked as a bartender and bridge painter over the years. William was a member of the Elizabeth Boro V.F.C. Tera Romayne Huggins, 62, died March 27, 2017. Friends will be received from 9 to 11 a.m. Saturday, April 1, at Mount Rise Baptist Church, Ingot and Sheffler Street, New Homestead, where service will be held at 11 a.m. Interment to follow at Jefferson Memorial Park, 401 Curry Hollow Road, Pleasant Hills. Arrangements in charge of Tunie Funeral Home Inc. 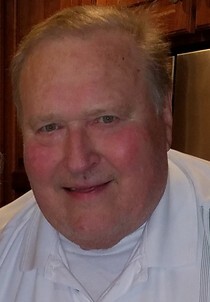 The Reverend John Joseph Fetterman, former rector of All Souls Episcopal Church in North Versailles Twp., died March 19, 2017. Hewas born on July 4, 1937 in Harrisburg, PA to Francis and John Fetterman Senior. John graduated from the North American College in Rome and was ordained in December 19, 1962. He came to Pittsburgh in 1972 and taught classics at the University of Pittsburgh. John was interim pastor at Christ Episcopal Church in the North Hills. John was Associate Clergy at Calvary Church in Shadyside and Rector of Grace Episcopal Church in Madison, Wisconsin. Oscar "Little Pie" Underwood Jr. died March 11, 2017. He was born May 9, 1948. Visitation will be from 4 to 8 p.m. March 19 at Tunie Funeral Home, Inc., 218 E. 11th Ave., Homestead, where service will be held at 11 a.m. March 20. Interment will follow in the National Cemetery of the Alleghenies, Cecil Twp. Janet Duff Smith died March 4, 2017. She was born June 26, 1942. Friends will be received from 4 to 7 p.m. March 9 at Tunie Funeral Home, Inc., 218 E. 11th Ave., Homestead, where a service will be held at 7 p.m. March 9. Isaiah Brooks-Leonard, born September 20, 2016, died February 6, 2017. 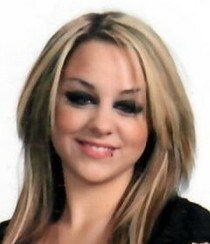 A memorial service will be held at 7 p.m. March 3 at Tunie Funeral Home, 218 E. 11th Ave., Homestead. 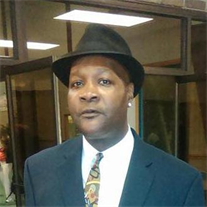 Mark "Hubba Love" Harber, 59, died Feb. 13, 2017. Visitation will be from 4 to 8 p.m. Feb. 20 at Tunie Funeral Home, Inc., 218 E. 11th Ave., Homestead, PA.
Service will be held at 11:30 a.m. Feb. 21 at Second Baptist Church, 108 W. 12th Ave., Homestead, with interment to follow at the National Cemetery of the Alleghenies, 1158 Morgan Road, Cecil Twp., Washington County. Arrangements by Tunie Funeral Home Inc.